Looking to give back? 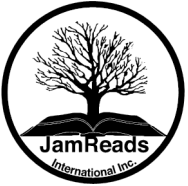 There are many ways for you to help JamReads. Put your skills and talents to use and help us grow. We have multiple fundraiser throughout the year and volunteers are always needed. Your help is always welcomed. Email us at jamreadsinternational@gmail.com to find out what's available. Activity books, word games, puzzles, etc.